"A cute game that needs precision controlling!" 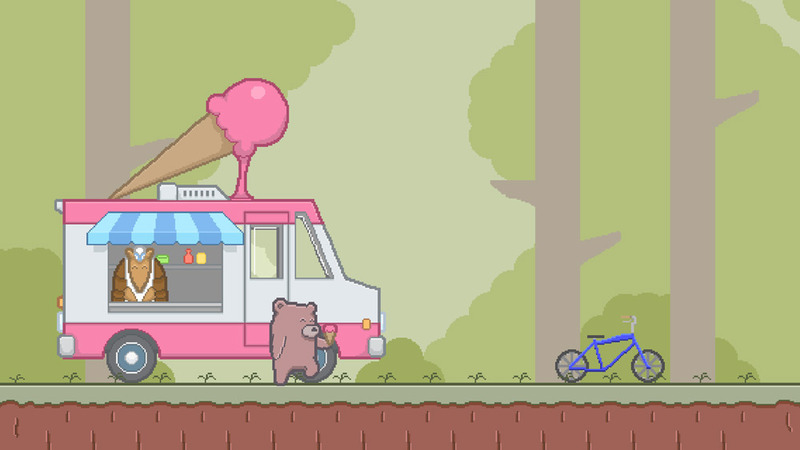 Jetpack Bear sees you playing as a cute little bear and after an incident outside an ice cream truck you must take off with your high power jetpack and chase down your enemies, however your path will be obstacle laden and controlling the jetpack is something of an art. 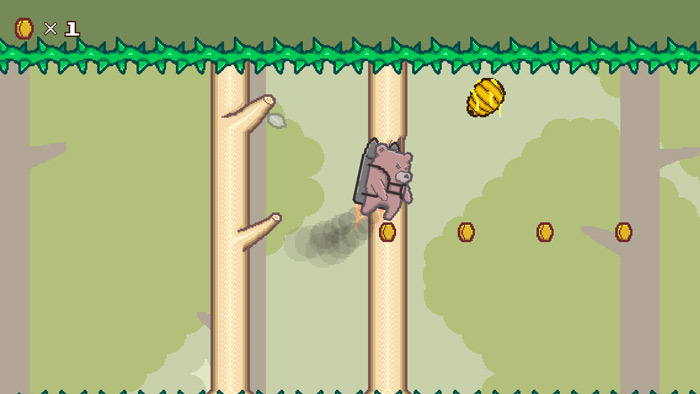 As you fly through the few levels of Jetpack Bear you will need to handle your jetpack very carefully as there tends to be thorns either in both sides or at the top or the bottom of the screen which if hit will be an immediate game over, on top of this you will need to collect coins and beehives however you will have to balance risk and reward as often the hives can be very difficult to get or extremely close to an obstacle that could instantly kill your bear. The game looks good if a little bit basic but that only adds to its charm, the large and clear animation makes it a lot more enjoyable to repeat parts over and over as the game deceptively plays a lot harder than it looks, calm controlling of your jetpack is the most crucial part to being successful in this game. 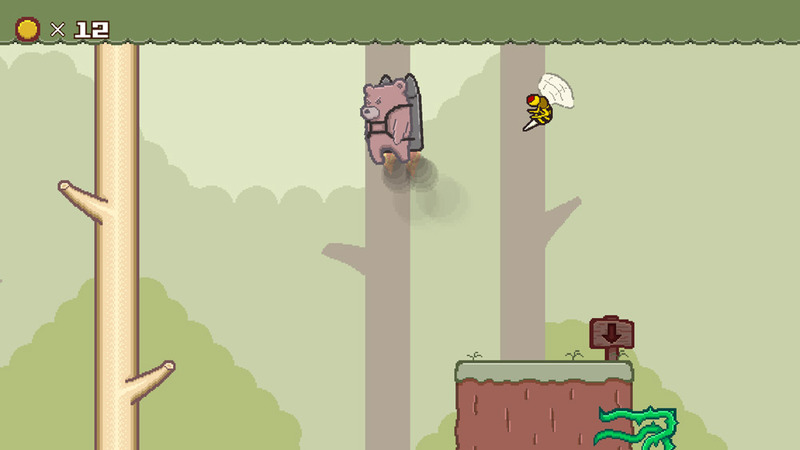 You can download Jetpack Bear here for free.